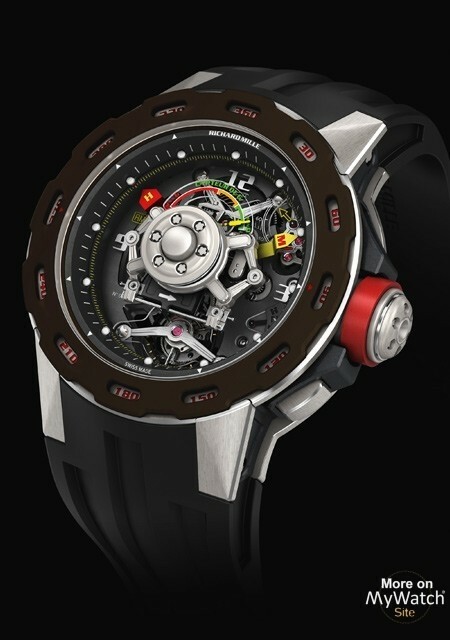 Price request for RM 36-01 Tourbillon Capteur de G Compétition Sébastien LoebRef. 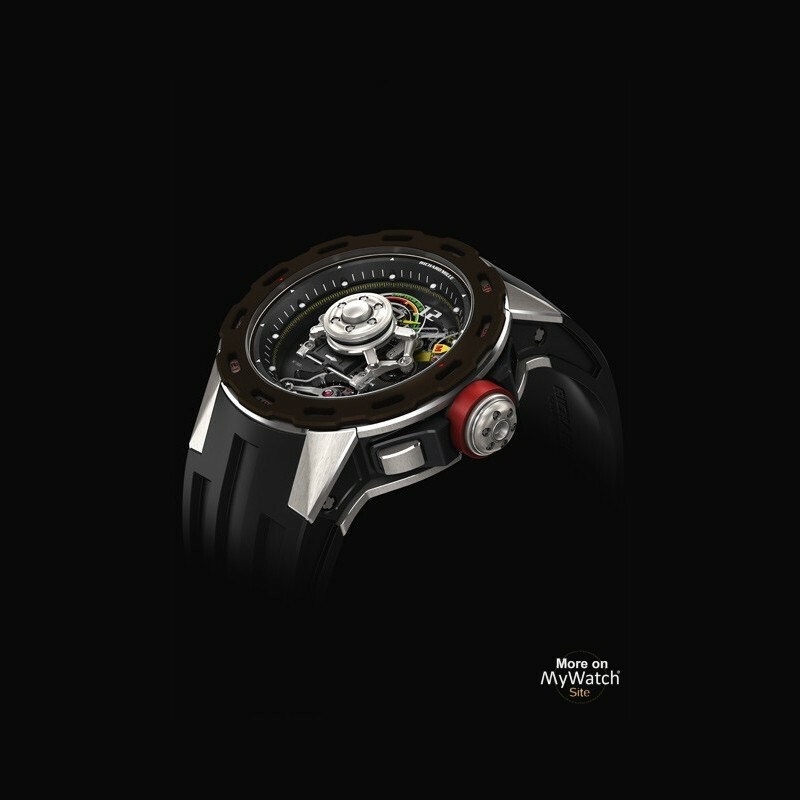 A further development of the mechanical G-force sensor watches present in the Richard Mille collection, the new RM 36-01 G-Sensor Tourbillon Sébastien Loeb is the result of the collaboration between Richard Mille and Sébastien Loeb, the most successful driver in WRC history, having won the world rally championship a record nine times in a row and set the new world record on the Pikes Peak Hill Climb in 2013. 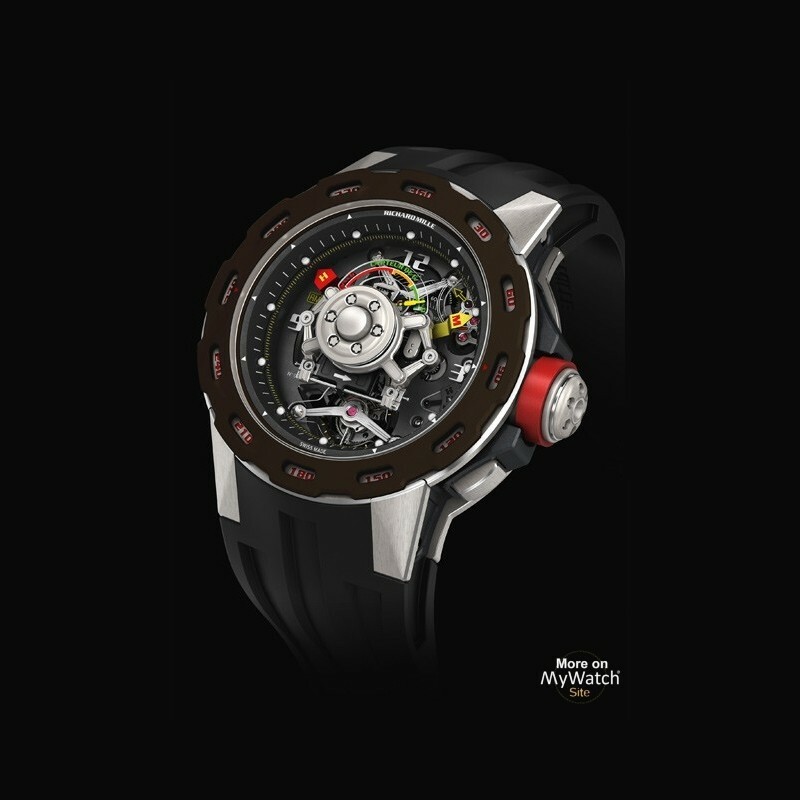 It represents a further development of the mechanical G-force sensor presented previously in the RM 036. This novel tourbillon movement has an indicator at 2 o’clock that displays the status of the circa 70 hours power reserve, a function selector at 4 o’clock and a G-force sensor reset in the middle of the round sapphire glass front. With a case diameter of 47.70 mm created from carbon nanotubes for the caseband and titanium for the fixed bezel and caseback, its atypical design offers high visibility and contrast against the grade 5 titanium, black PVD treated movement parts. 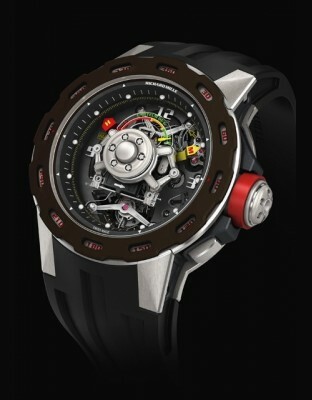 The key to understanding this new creation can be gleaned from the rotating brown ceramic bezel: the G-force sensor can now be rotated manually to align in different directions, enabling drivers to view the lateral deceleration as well as longitudinal forces found respectively in corners, acceleration and braking on straights. 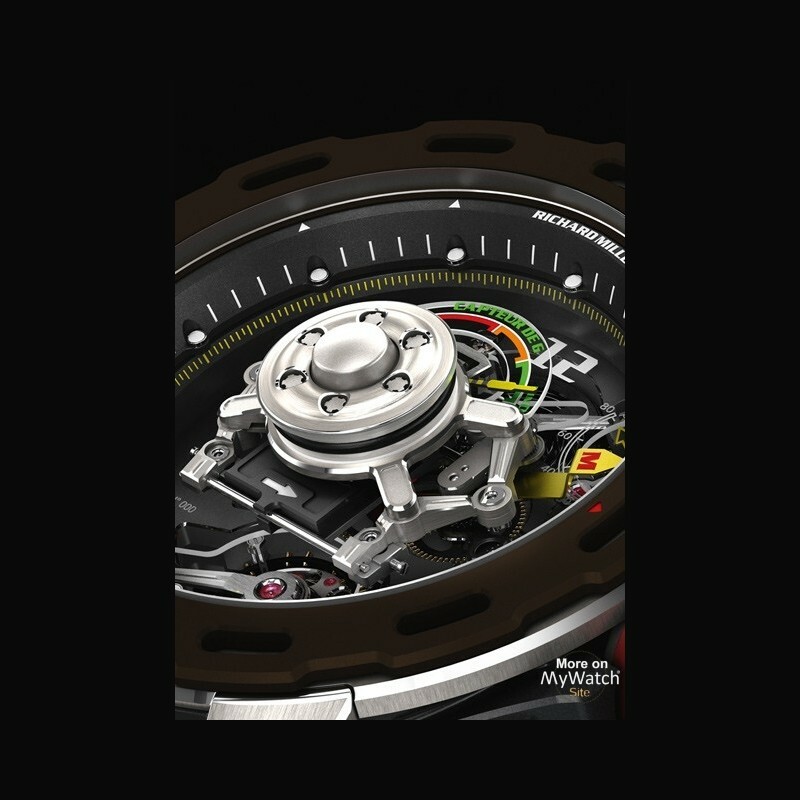 Directly connected to the bezel and sapphire glass, the sensor can indicate G-forces of up to 6 G’s. The scale indicates whether deceleration is safe (green zone) or if it reaches a critical threshold for the pilot (red zone). Resetting to 0 is quickly accomplished with a simple press of the central pusher. This construction is a real technical breakthrough for watchmaking, requiring complex assembly and adjustment during construction, with part of the movement on the baseplate whilst other movement parts are attached to the bezel/sapphire glass construction that is mobile - turning and adaptable, yet part of an exact timekeeping mechanism. 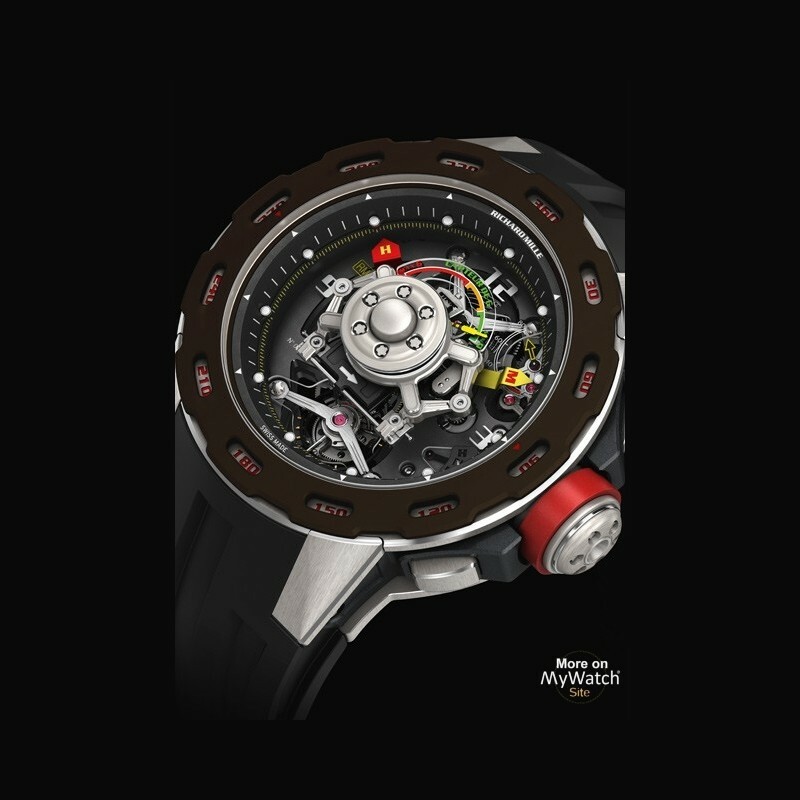 Created in a limited edition of 30 pieces, Sébastien Loeb will be wearing this exceptional timepiece during WTCC competitions and on all other motorsport events in which he will participate.